6 "Supporting "progressive county commissioners"
Mandy Carter is a North Carolina activist. Southerners On New Ground (SONG) was founded after the 1992 LGBTQ Creating Change conference. Three Black lesbians and three white lesbians – Pat Hussain, Joan Garner, Mandy Carter, along with Suzanne Pharr, Pam McMichael, and Mab Segrest​ – all organizers who had been working in the South, were seeing the widening divide between white LGBTQ people and LGBTQ people of color and the issues that were being talked about and prioritized. They realized that there was a real need in the region, and throughout the movement nationally to broaden and connect struggles for racial, economic, and gender justice that combatted the Right Wing strategy of dividing us (as LGBTQ people) from each other along the fault lines of race, class and culture. So, they started SONG and we have been working to answer the question of how to advance a multi-racial, racial justice agenda over the entire lifespan of our organization. Mab Segrest, April 18, 2017. This photo is from my 60th birthday party at Steph's house in Atlanta with SONG cofounders including Cherry and the then-current directors Paulina and Caitlin. Joan Garner is on the right in vibrant red and my then-new love Annie Ellman on the sofa. I have been honored and blessed to be friends over the years with these brave and wonderful people. Joan we already miss you so much. — with Pat Hussain, Paulina Helm-Hernandez, Mandy Carter, Suzanne Pharr, Mab Segrest, Annie Ellman, Caitlin Elly Breedlove, Stephanie Guilloud, Pamela Jean McMichael and Cherry Hussain. Up For Democracy, created in the mid-2000's, described itself as "a multi-cultural grassroots coalition for participatory democracy, economic and social justice and peace"
Steering Committee members included Mandy Carter - Southerners On New Ground, North Carolina. 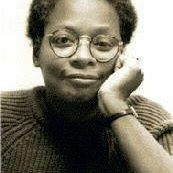 In March 1998 “Endorsers of the Call” to found a Black Radical Congress included Mandy Carter, Durham, NC. This page was last modified on 17 July 2018, at 13:26.